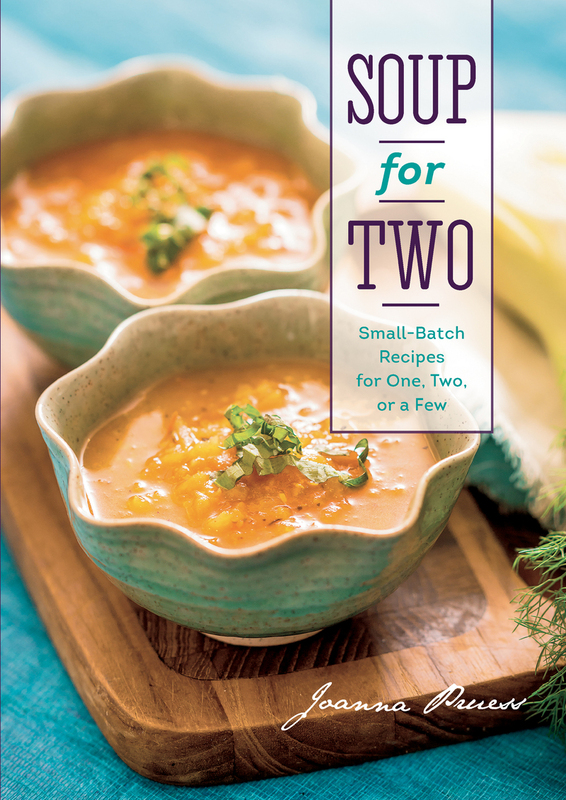 From Rainy Day Tomato Bisque with Mini Grilled Cheese Sandwiches to Tuscan White Bean Soup with Sage, the recipes in this innovative collection will sustain and nourish home chefs the way the best homemade soups should. The number of ingredients is modest and the techniques are easy, but the resulting dishes are nothing less than spectacular. The way Joanna Pruess cooks for two doesn’t mean you’re left with lots of half-empty containers cluttering your refrigerator shelves. In every case, from Mom’s Chicken Noodle to Swiss Chard, Potato, and Sausage, these soups require ingredients that can be easily procured in small portions. Try them all!